Booking a hotel anywhere in the world can be a most daunting exercise, especially if you do not know the area to where you are traveling. Trying to find where the hotel is located in a city and if it is close to all the major attractions can be difficult. You may want to travel to Peru and of course, you will want to visit the Inca citadel, Machu Picchu while you are there. The good news is that the town near Machu Picchu is not that big and most hotels are centrally located. 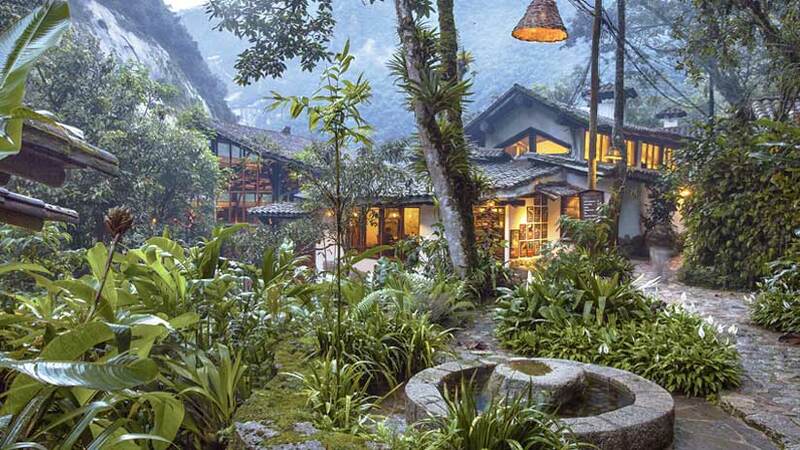 When we say hotels near Machu Picchu well that will include most. 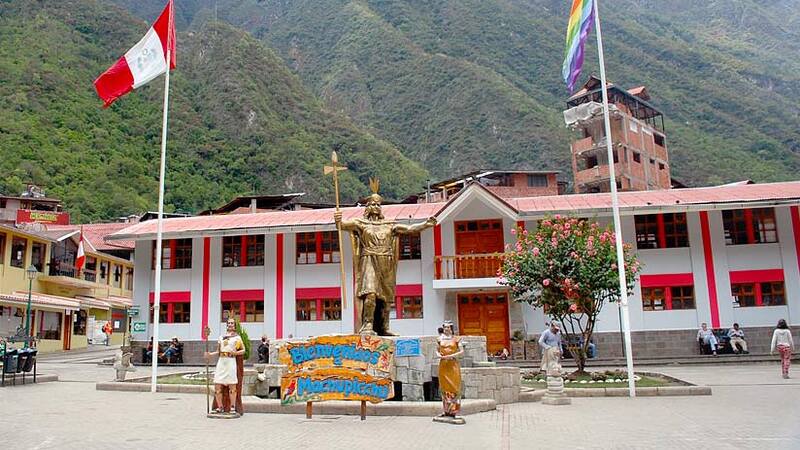 Depending on your budget, there is a hotel for you in the town of Aguas Calientes. Aguas Calientes is where you will arrive by train on your visit to Machu Picchu. The town itself is only very small but is filled with character and is a lovely place to spend a night. With no shortage of restaurants in the town, you will not go hungry either. 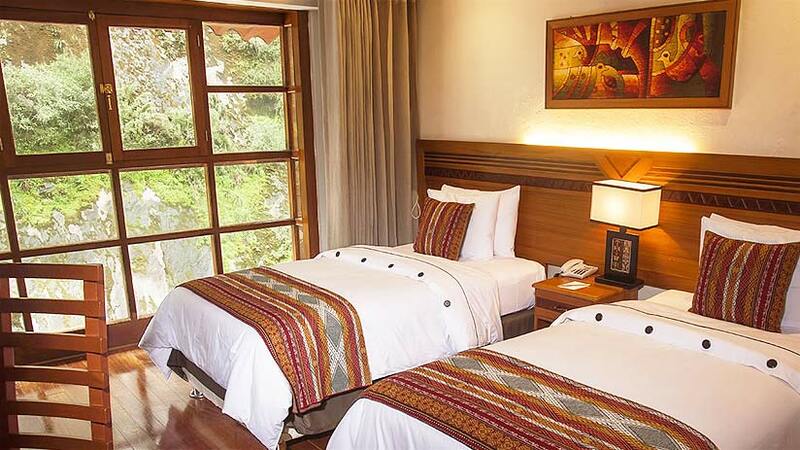 Starting with the five star hotels, you cannot go past the InkaTerra Machu Picchu Pueblo Hotel. Set on over 21 hectares the hotel has one of the prettiest gardens you will experience in Peru. This tranquil retreat has Eighty Five huts for you to stay in. The hotel does not come cheap but if you are looking for peace and quiet after your hectic tour to Machu Picchu then this is the place for you. 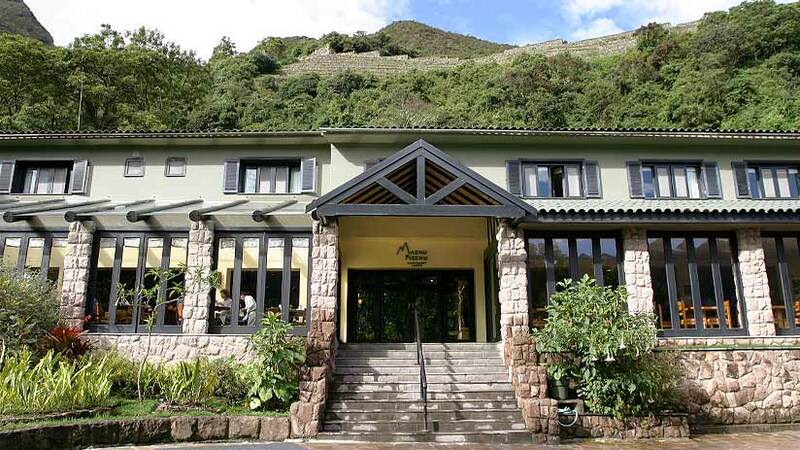 Another five star hotel in Aguas Calientes that is worth a look is the Sumaq Hotel. The recently refurbished hotel features Sixty rooms and will over the next year all the renovated in the Earth, Fire, Water and Air principles of the Inca. A warning about this hotel, make sure you get the front rooms with a view they are the best in the hotel. Not in Aguas Calientes but at the gate of Machu Picchu itself if the really fabulous Belmond Machu Picchu Sanctuary Hotel. This is the most expensive hotel in the area but the views and the experience of staying near the ruin will make up for the cost. Sip a cocktail on the terrace and watch the sunset over the Sacred Valley of the Incas. The restaurant features locally sourced food and the chefs prepare delicious Peru cuisine. 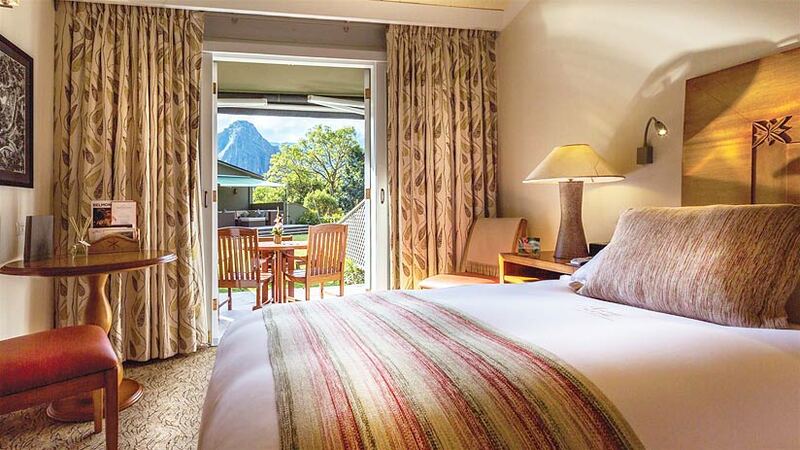 Stay a little later at Machu Picchu as guests of the hotel enjoy special privileges. Back in the town of Aguas Calientes the four star Casa del Sol is worth a look. This boutique style hotel does not look like from the outside but the warm and friendly atmosphere will surprise you once you are inside. Again, try to stay in the river view rooms for the best experience. There are many more hotels in the town of Aguas Calientes, some are reasonably priced, and some are expensive. All are centrally located so you will not have to worry about being far away from town. So take the time to find the best hotels near Machu Picchu. Another questions that you should find the answer for is what is the best time to go to Machu Picchu, well there is not a best time but there are two seasons that you will need to know about. There is a dry season and a wet season. The dry season has the most tourists visiting Machu Picchu, but the weather is fine and the skies are blue. The wet season is a little wet and it does rain, so you will need to take your wet weather gear. Whatever time you decide to visit Machu Picchu, the thing you cannot forget during a visit to Machu Picchu is your sense of adventure and your sense of fun. Before and after your tour to Machu Picchu you will need to stay in the Imperial city of Cusco. Cusco was the heart of the Inca Empire and the city features many relics of its Inca past. The city also was used by the Spanish Conquistadors and they built many fine examples of Spanish Architecture. The city features many amazing churches and old colonial houses. Many of the hotels in Cusco Peru are housed in these houses and have been refurbished to their former glory. A night at one of these fine hotels will take you back in time and most feature impressive restaurants to dine. If you are an art lover than some even feature collections of art from the ancient Spanish times. A trip to Machu Picchu and Peru is something to cross off the bucket list, so book your trip to Peru today the country is waiting for you with a warm smile and open arms.